Courtesy of Texas Hill Country Unlimited, Blake Stayton. Charming 2 Bedroom 2 Bath home on 0.43 acres. Close enough to the city for convenient access to shopping and entertainment yet far enough away for peace and quiet. Great home for a small family with room to grow. Storage sheds and kitchen appliances convey. Won’t last long so check it out now! 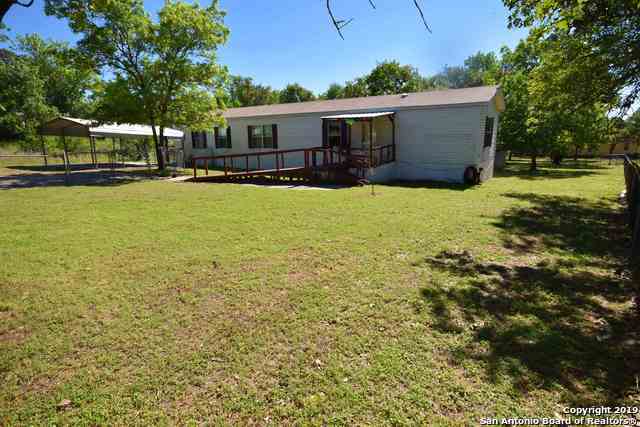 Please, send me more information on this property: MLS# 1377141 – $69,900 – 22706 Lazy Stream Dr, Elmendorf, TX 78112. I would like to schedule a private showing for this property: MLS# 1377141 – $69,900 – 22706 Lazy Stream Dr, Elmendorf, TX 78112.